What is “Leave No Trace” and Why is it Important? We all want to be able to enjoy the majestic beauty of the Grand Tetons National Park and surrounding nature throughout our lifetimes and for generations to come. That’s why when it comes to practicing resource stewardship, one measure that Turpin Meadow Ranch takes is Leave No Trace. Essentially, Leave No Trace is a set of principles and best practices promoted by The Leave No Trace Center for Outdoor Ethics, and is widely understood and adopted by outdoor enthusiasts to help ensure our enjoyment of the outdoors isn’t reduced by our own impact. While most of us don’t intend to harm our natural surroundings, we may not be aware or considering the outcome of decisions we make in the wild. We put Leave No Trace principles into action in all of our operations at the ranch; for example, during guided fishing excursions to the most pristine areas of the forest, we pack out all flies, tippets, and leaders used on the tour. We never leave behind fishing lines that get tangled in bushes. We also teach guests not to cut brush out of the way and to instead find another spot to fish. On every trip, we bring trash containers to eliminate left-behind waste and to prevent ingestion of food scraps by bears and other wildlife. 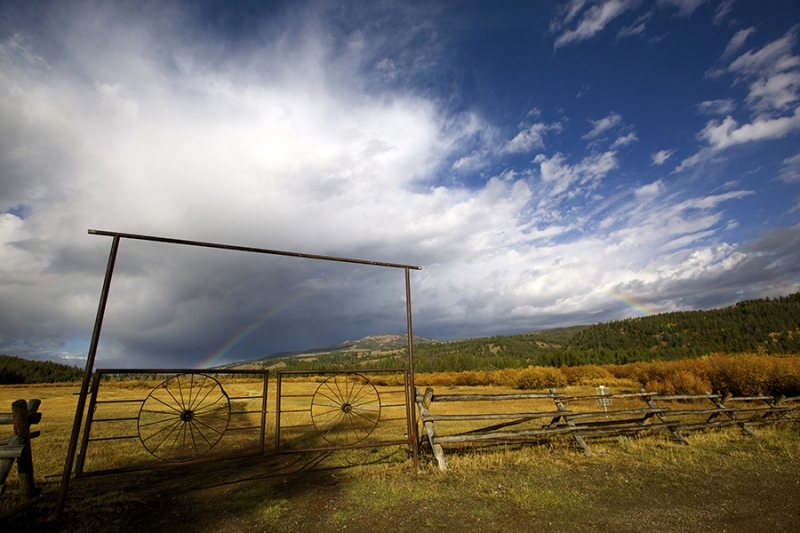 We hope you enjoy your stay while at the Turpin Meadow Ranch and surrounding areas. Please let us know if you have questions, would like trail or scenery recommendations, or would like to further discuss resource stewardship best practices on your trip. You can also visit our Adventures page for information about our guides, tours, and activities. Note: the seven principles of Leave No Trace are copyrighted and courtesy of The Leave No Trace Center for Outdoor Ethics.